On Wednesday morning this week, I went with my friend, Ernie Sears, to photograph trilliums at Thompson Wildlife Management Area near Front Royal, Virginia. Ernie had heard Thompson WMA was a good place to see and photograph trilliums, but we had never been there and were not sure where to look for them. Trilliums are perennial flowering plants found growing wild in forests at higher elevations from Canada to Georgia. The rarer of two species of trillium found in northern Virginia is the large-flowered trillium (T. grandiflorum). They carpet the forest floor in April and May in certain locations. Large-flowered trillium flowers start out white and turn pink before dying. 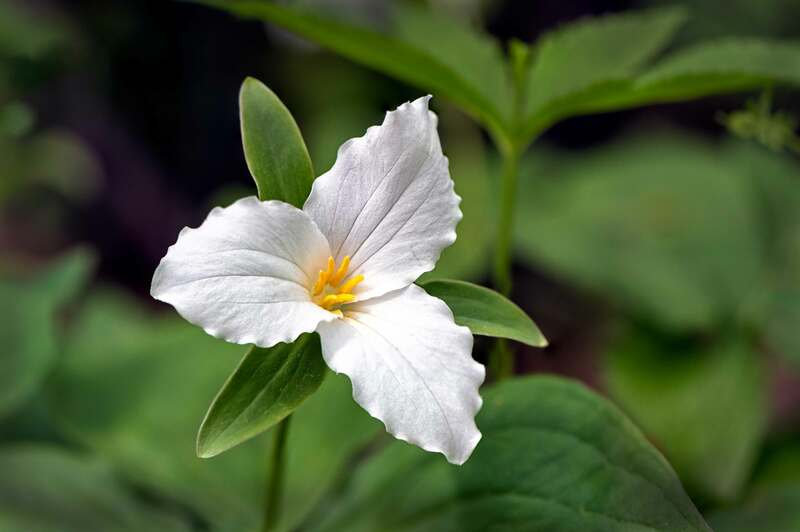 The name trillium is derived from the Latin word “tres” because the flower’s parts are in groups of three. We parked in the second parking area, got our cameras and tripods, went to the kiosk and looked at the park map, and then entered the trail. As soon as we were on the trail, we saw the trilliums. They were everywhere and in full bloom. Our timing was perfect, because the trilliums do not bloom for long. I photographed the trilliums using a Nikon 105mm macro lens on a Nikon D810 camera body. I shot three to four images of each flower, focusing on the center and each of the flower’s petals. When processing the images, I blended the three to four images together to get a sharp focus on the entire flower. This process is called focus stacking. This was a short article, because I wanted to share the trillium images and get back to preparing for my trip to Iceland. My next blog article will be about Iceland and contain some of the images I shoot while there. I am expecting to see and photograph many amazing and unusual landscapes while in Iceland. Comments on this article are appreciated and can be entered by clicking on “Comments” found below the Share this: section. You can also read other’s comments there. 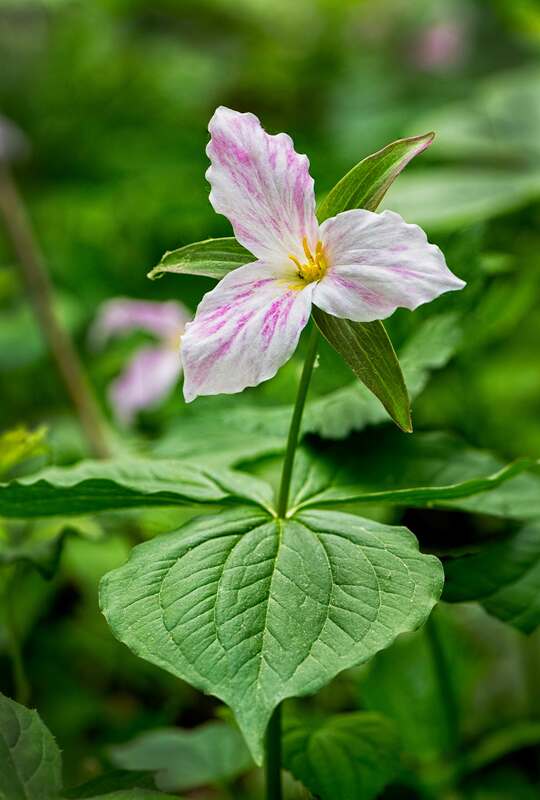 This entry was posted in Nature, Spring Photographs and tagged Thompson Wildlife Management Area, Trillium. Bookmark the permalink. Excellent images. The focus stacking worked perfectly. You did not mention it, but this was a particularly bad day to shoot wildflowers because it was so windy. Stacking four images when the flower has been moving is a significant technical feat, but you and Photoshop were obviously up to the task. Thanks for sharing. Now on to Iceland! Gorgeous Trillium images you have here. Focus stacking worked wonderfully. I hear that you are going to Iceland.. wow! I want you to have a great time there. I myself have all my travel planned for Iceland, Norway, and Paris this October for three weeks. I will look forward to seeing your wonderful journey photos and articles. Beautiful photos of the flowers. Intrigued by the stacking. Don’t you just love PhotoShop! Can’t wait to see your Iceland images! 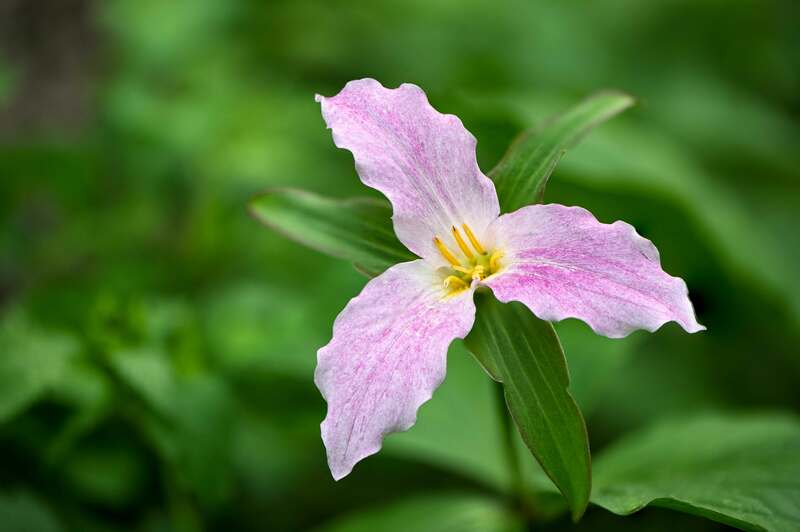 They are as rare as hens teeth in Michigan …ergo,the state flower. It’s considered a crime in Michigan to even pick one..cannabis is ok. In Michigan it is a crime to pick trilliums. hmm seems strange,but we were told keep our Cotten Pickens fingers away..sent cc to Laura…she knows all!